Louis Loeffler was the Legal Counselor for Belmont Oil and the Hughes Drilling Co. In 1916, Nathan Court was a professor in the Math Department of the University of Oklahoma. 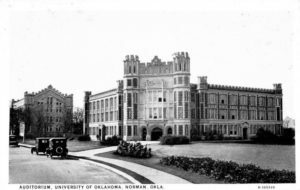 In 1921, Benjamin Botkin was a professor in the English Department of the University. 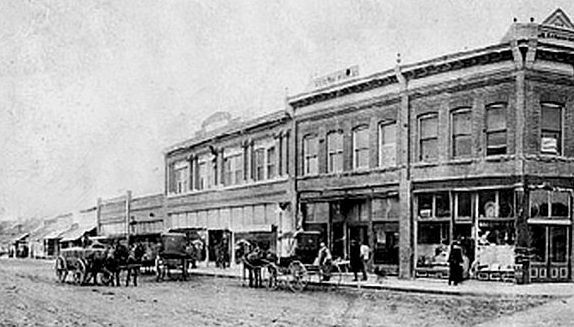 Jake Katz settled in Stillwater in the 1890’s. 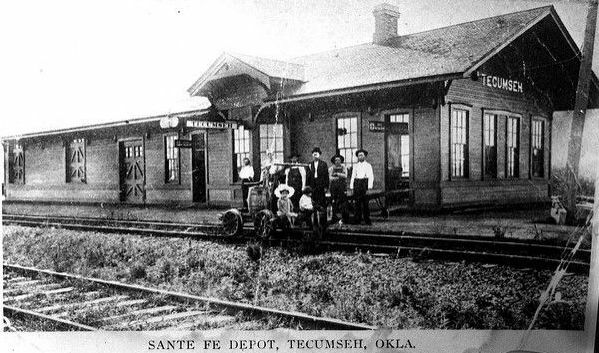 Berty and Rose Weitzenhoffer settled in Purcell before 1889. Max and Julius Krouch, brothers from Germany, established a business in Tecumesh in the early 1890’s. Max Krouch was Chairman of the Pottawatomie County Excise Board until 1948. He was also Chairman of the Draft Board during WWII. Max was a philanthropist, and an elementary school is named for him. In 1916, Julius Krouch was elected County Commissioner of Pottawatomie County. He was a Democratic Presidential Convention Delegate in 1908. Seminole had a Reform synagogue. Henry J.Tobias, The Jews of Oklahoma (Norman:University of Oklahoma Press, 1980). Regina Merwin is curator of this Bristow, Norman, Stillwater, Purcell, Tecumseh & Seminole exhibit.